Verne Harnish is the founder of Gazelles, Inc., which serves as an outsourced corporate university for mid-size firms. He’s the author of Mastering The Rockefeller Habits and The Greatest Business Decisions of All Time, writes a regular Growth column for Fortune Small Business Magazine and has a major update to Mastering The Rockefeller Habits coming out this year called Scaling Up. Verne also founded Entrepreneurs Organization and the Association of Collegiate Entrepreneurs (ACE) and chaired the renowned Birthing of Giants entrepreneurship leadership program at MIT for 15 years. We’ve been huge fans of Verne’s one page strategic plan and his books and presentations (he’ll be in Australia and NZ in September). 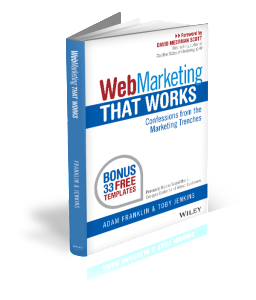 In the show, we talk about Verne’s concept of “owning the ink” and how he’s executed that in his online tools, education, email marketing, and books. 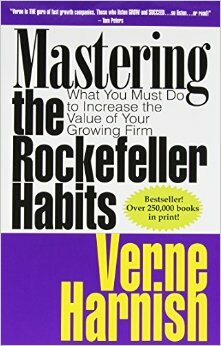 One of the key take aways for me was that Verne partnered with a major business publication for each of his ventures – profit AND non-profit – at the START of each venture. We also talk about lessons in business that have helped him in his family life (it’s topical for me so I couldn’t help but ask!). If you have a second, please leave us a review on iTunes (or Stitcher)! It really helps us to keep getting great guests on the show. No-one wants to be sold, they want to be educated. Book codified what Verne had been teaching for years. Positioned and partnered with media – Fortune Magazine. First give before you receive – put it out there first. Tools are open source and anyone can access them. Where are your core customers hanging out? Easier to interview from a media standpoint. What is the book you need to write? Book/hear about Gazelles, join the list for the nurture cycle. Handful of rules and repeat yourself a lot. Hopefully some sticks! 1 page personal plan – relationships, achievements, rituals and routines you need to change, wealth – number and what are you going to do with that to make the world a better place. 22nd wedding anniversary celebrated – relationship is stronger and as strong as it’s ever been. 15 minute daily ritual – just before dinner 6pm. Rabi Steven Barrs – common issue is that we treat our spouse as our children should be treated, and our children as our spouse should be treated. Ask your spouse how was their day, not your children!